This week, I had the opportunity to interview 10th Grade CEO, Michael Viggiano, to help students get to know Michael a bit better. 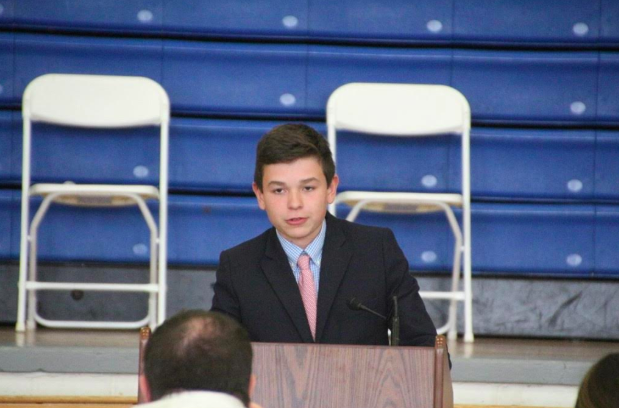 Since enrolling in Oratory freshman year, Mr. Viggiano has been an active member of the school community and is liked by many throughout his grade and the school. I asked him some questions to help students better familiarize themselves with their Student Council representative and fellow Oratorians as a whole. When and why did you first decide to run for Student Council? It was a couple days before the speech deadline when some of my friends told me that I would be fit to run for 10th grade CEO. The more I thought about it, the more I believed that I had good ideas that could make an impact on the school community. Why didn’t you run the previous year for 9th grade CEO? At the beginning of 9th grade, I was a little shy and wasn’t ready to put myself out there yet. I was considering running, but I did not think I could manage speaking in front of the whole grade. If I could go back, I would have definitely run because now I realize that it wasn’t as big a deal as I thought it was. What additional extracurricular activities are you currently involved in? Last year, I played basketball in the winter and lacrosse in the spring and plan to continue both sophomore year. For school extracurriculars, I do the Fed Challenge, Saint Philip Neri Club, where I am on the governing board, Fishing Club, and Art Club. I am also a Carlton Fellow and a member of the Junior National Art Honor Society. Billy, my cousin from Bronxville, New York, is my role model. He is currently a freshman at Duke and is my role model because of how well-rounded he is, balancing academics, athletics and socially. He was the valedictorian of his graduating class, a three-sport varsity athlete since his freshman year, and yet, he was still able to have a social life. What has been your favorite part about Oratory so far? My favorite part of Oratory so far is the sense of community and brotherhood. I have probably bonded more with students at Oratory in one year than I did the past nine years at my previous school. The small class really builds a tight-knit community which allows us to get to know each and every one of our brothers. What are you currently working on in Student Council? In Student Council, we are currently trying to get more students at the athletic events. Oratory usually has a couple games a year where we have a big number of students show out. If you go to a Delbarton or a Seton Hall Prep, they usually have this turn out at about every game. We are trying to instill the same culture here at Oratory and show some support to our athletes who work so hard. Do you plan to run for office again next year and if so why? Yes, I do plan to run for office next year because I enjoy making a difference at the school community. I also want to get a lot of student council experience because at the end of my junior year I plan to run for President or Vice President. What has been your favorite class at Oratory? Why this particular class? My favorite class so far has been 9th-grade biology with Mrs. Pasnik because of the great students and an awesome teacher. Not that all of my other classes didn’t have great students, but a large group of my friends was in biology with me. Also, this class is my favorite due to the fun labs that we did like burning a Cheeto and marshmallow, soaking eggs in vinegar and dropping them on the table, and, finally, trying to camouflage our butterflies into the classroom walls. If you had to leave the student body with one inspirational quote, what would it be? 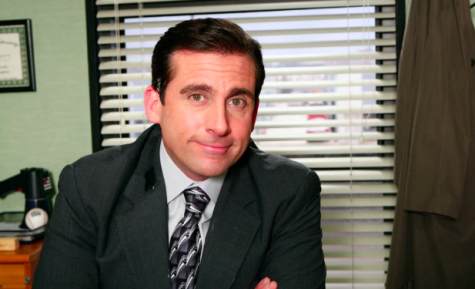 “You miss 100% of the shots you don’t take – Wayne Gretzky” – Michael Scott I have spoken to many of last year’s seniors (Class of 2018), and they said that the 4 years of high school go faster than you think. Don’t be afraid to put yourself out there and take risks. At the end of these quick 4 years, you want to look back and say that you had no regrets and that you made the most of your OP experience.